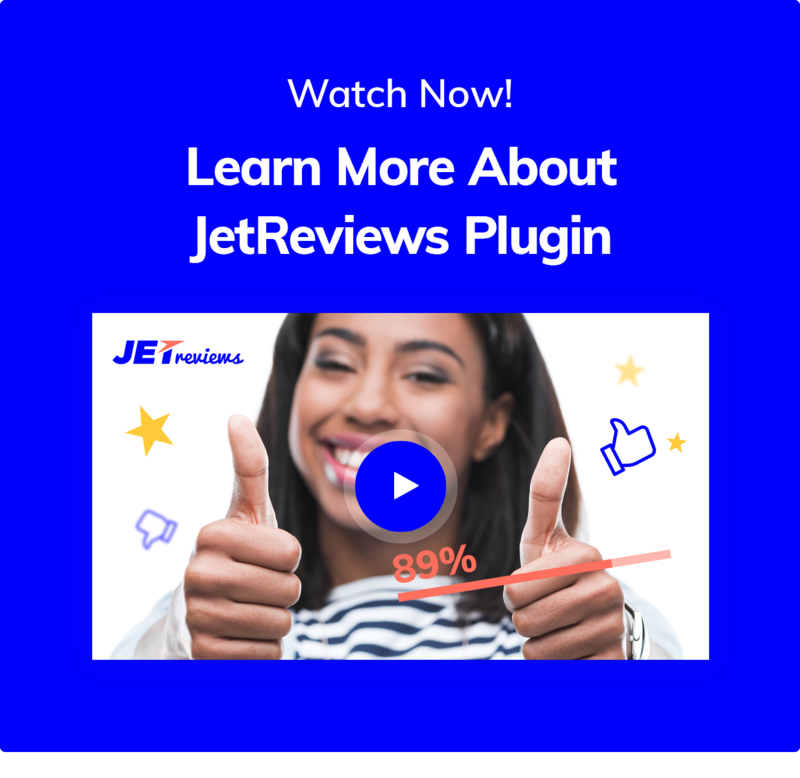 JetReviews plugin was developed for Elementor page builder and helps to create review blocks and rating bars. 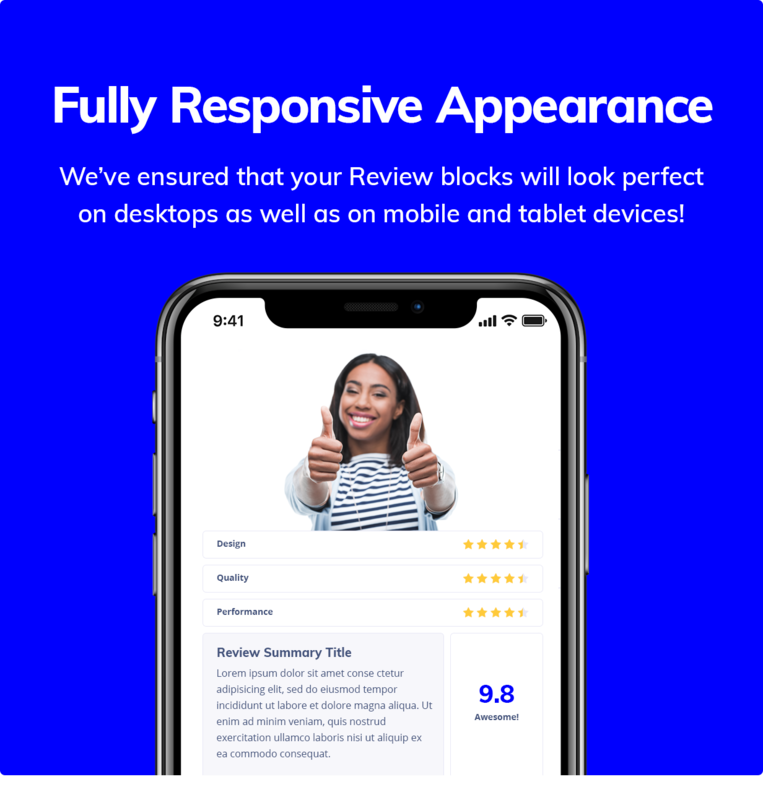 Itâ€™s completely easy to use and full of multiple styles, layouts and customizable elements for rating and review blocks. 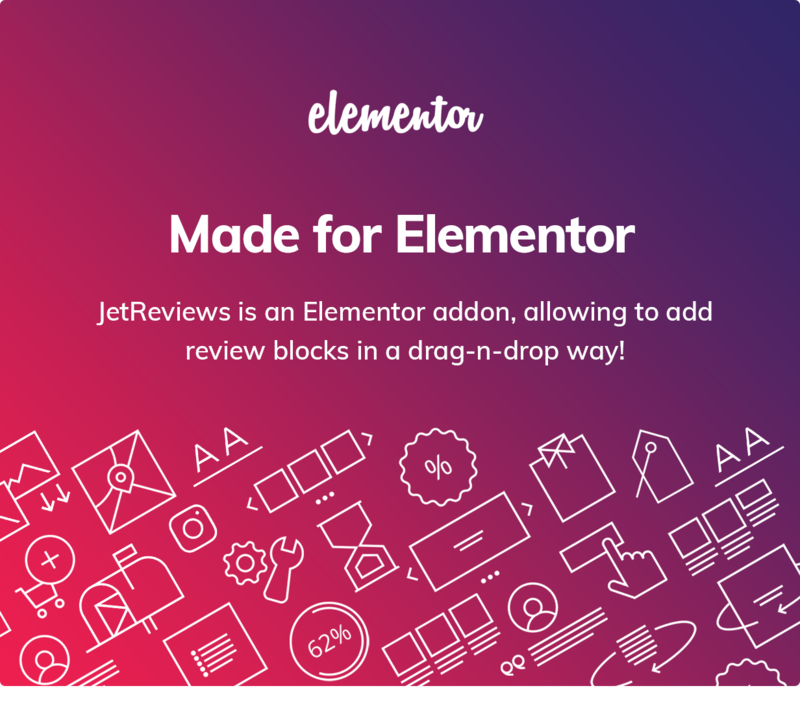 If youâ€™re using Elementor and need great solution to create review block, JetReviews addon is equipped with great functionality youâ€™ll definitely enjoy! Just drag and drop a Review widget and style it up according to your vision. 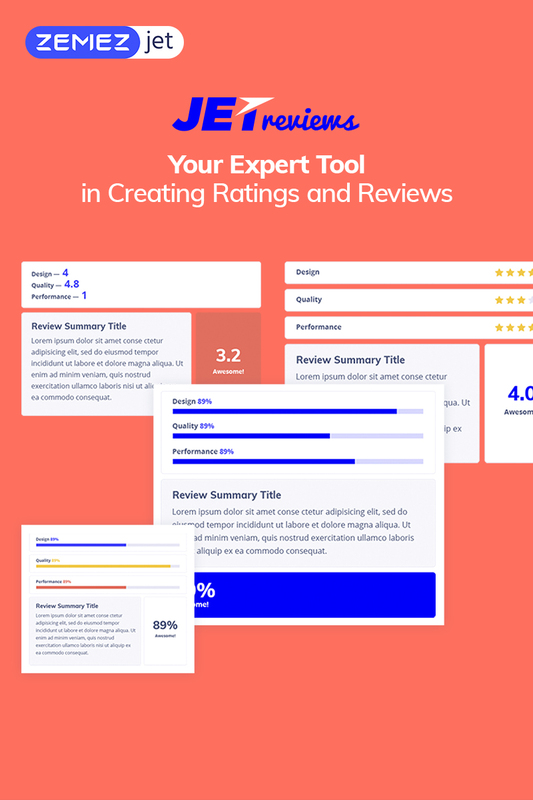 Review widget is perfect to display stars, percents and other elements in order to evaluate the rating or add review. 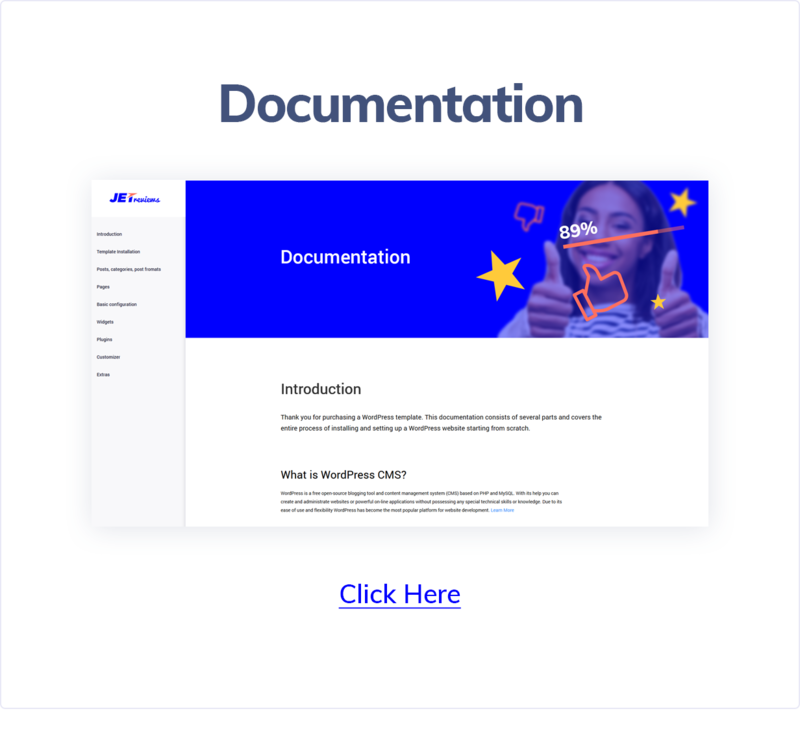 This module contains everything you might need to create eye-catching widget and embed it to your website. 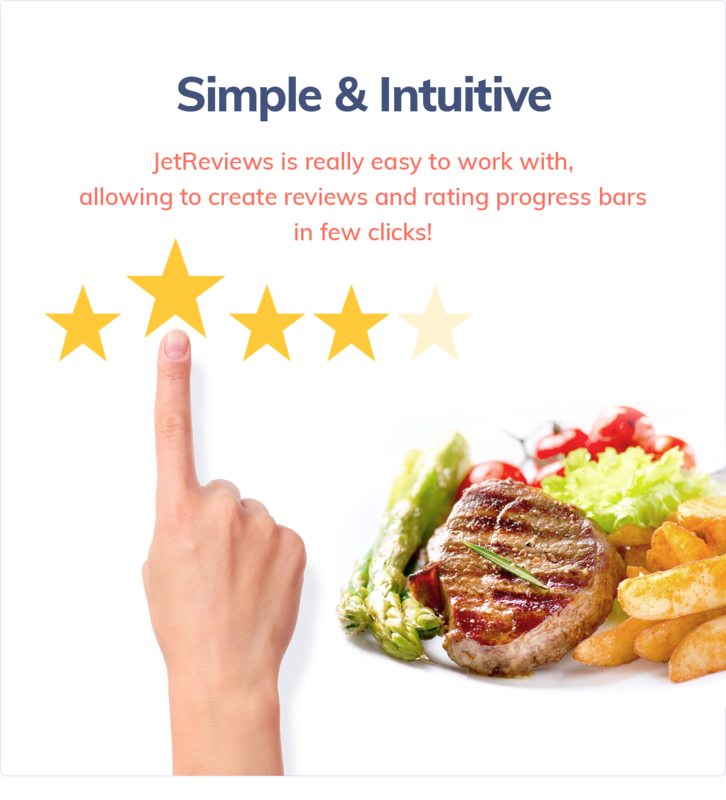 JetReviews is fully responsive and will showcase your widget on any device. This plugin contains rich options to create attractive and classy design. Your widget will look perfectly with all those settings and nice elements JetReviews is equipped with. JetReviews pluginâ€™s valued advantage is its simplicity in customization and creating your own unique style with all those addon settings. Discover rich typography options available in JetReviews plugin. Here you are free to select fonts from the list, choose the size, font weight and select decoration. You are able to set any text color you wish and work more on your widgetâ€™s individuality. 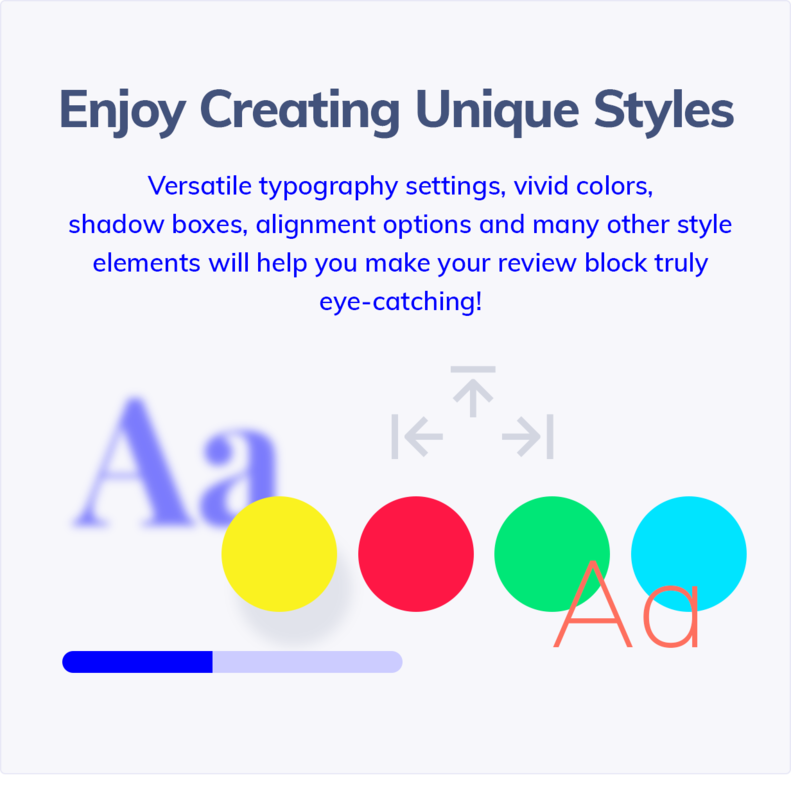 Play around with blocks positions and create your own widget layout, perfectly matching your needs and wishes. Pick up and embed any color you need in a wide range of colors available in color palette! Unfamiliar with HTML coding? No worries at all! 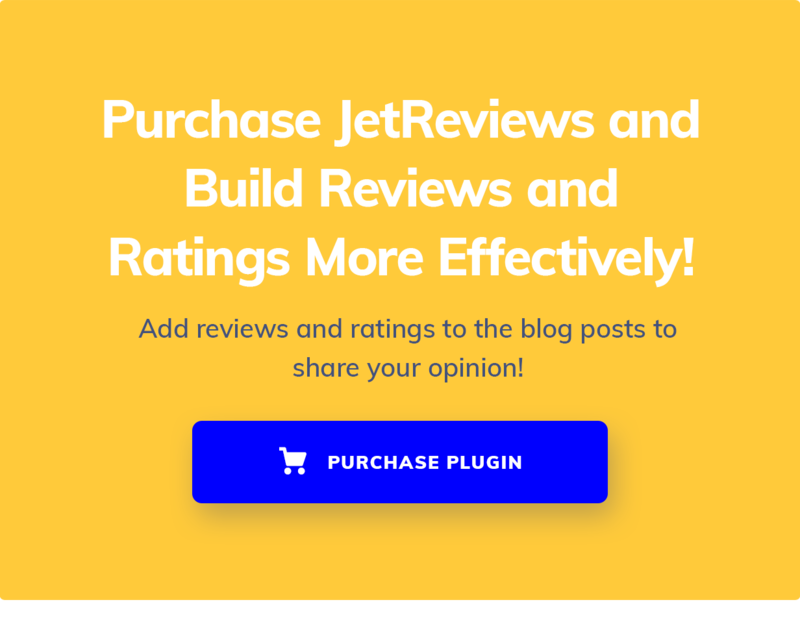 JetReviews plugin was crafted specially to be available for every user! 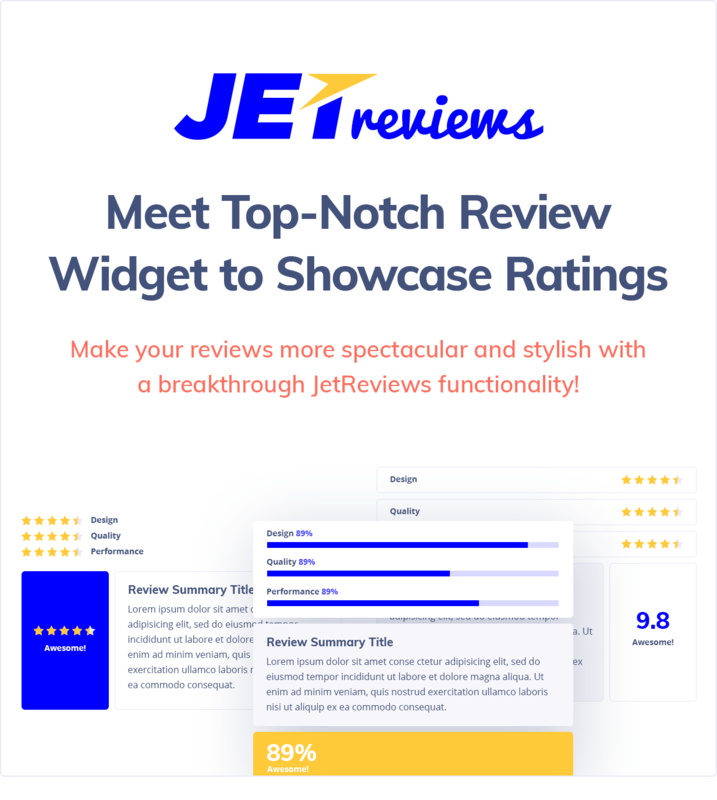 JetReviews perfectly works with WP Review plugin, so you are able to use both of them and crete the best review widgets and block you need! Nice addon for elementor, easy to use. Nice layouts, drag and drop and lot mere. Are you looking for a review plugin and are already using Elementor you need to check this one out. This was exactly what I was looking for! My review posts look great now! Very easy to use. I can choose stars or the bar, and add a description. And all for a fair price. I have found other plugins and they are all over priced. You should get it, just give it a try, you won&#039;t be disappointing. What more could I ask for. Please template monster, keep doing more plugins like this for elementor, and I&#039;ll keep coming back. Thank you so much! - Added: Ability to display the users that left reviews.